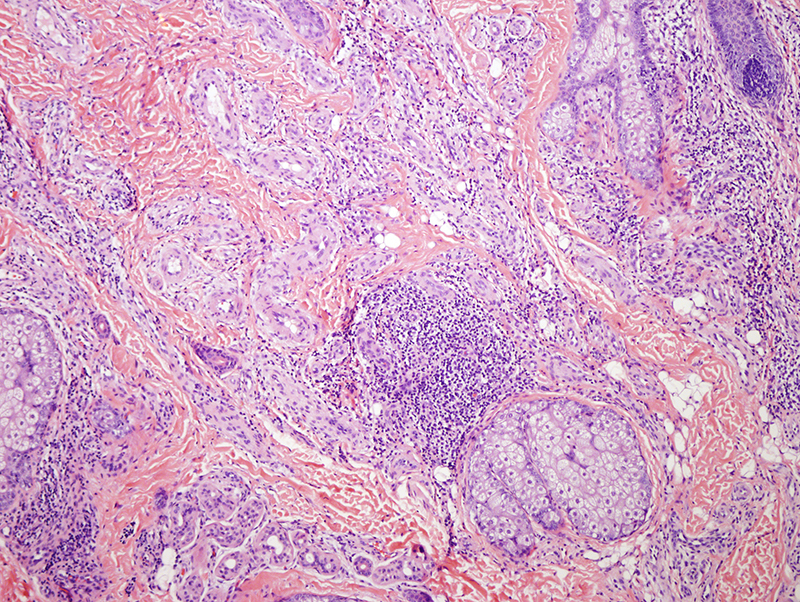 The findings are highly characteristic for angiolymphoid hyperplasia with eosinophilia. 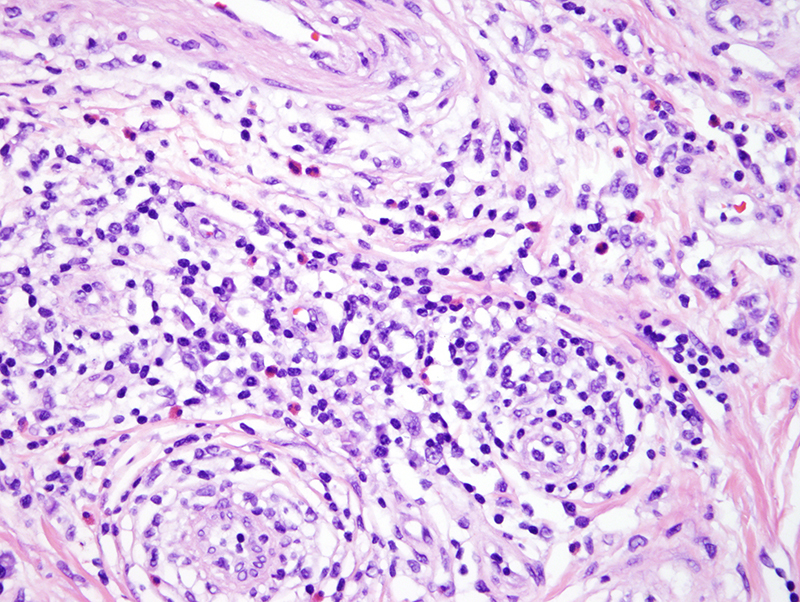 The unique constellation of thick-walled vessels lined by unusual proplastic endothelial cells with a background reactive lymphohistiocytic and eosinophilic infiltrate is very distinctive for this entity. There are really no other diagnostic considerations. 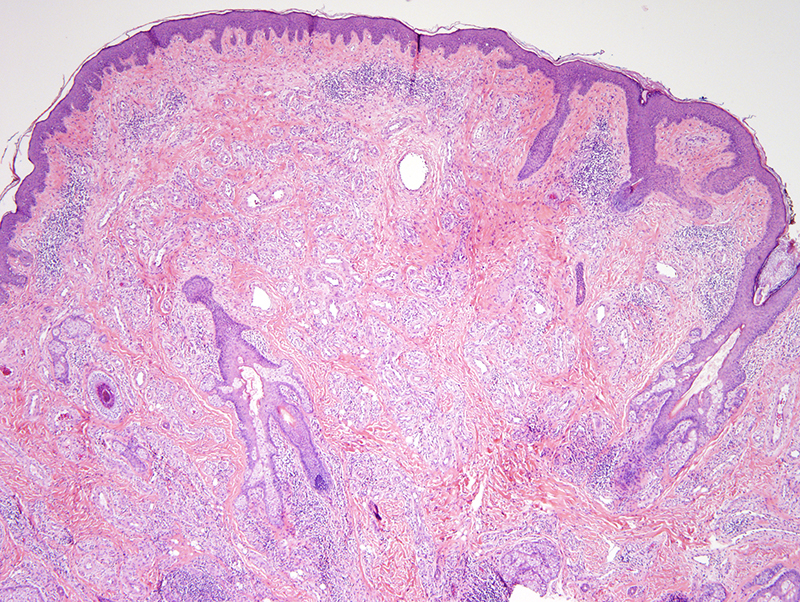 Angiolymphoid hyperplasia with eosinophilia has been documented in HIV patients and likely represents the sequela of a Th2 immune dysregulatory cytokine milieu that is operational in human immunodeficiency virus infection. Rather than the vascular proliferation being related to HHV8 it is due to the Th2 dominant milieu that can be seen as part of the polymorphous immune dysregulation of human immunodeficiency virus infection.